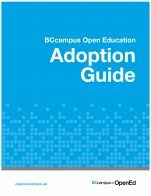 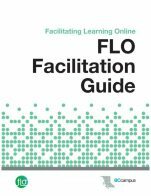 This guide was created by BCcampus Open Education with the assistance of several faculty and staff that attended our Adoption Workshop Development Sprint on March 31-April 1, 2016, in Vancouver. 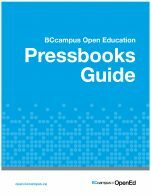 We thank Caroline Daniels and Dr. Farhad Dastur (Kwantlen Polytechnic University), Inba Kehoe (University of Victoria), Dr. David Harper (University of the Fraser Valley), Lucas Wright (UBC), and Gail Morong (Thompson Rivers University). 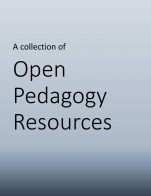 This guide continues to be an ever evolving resource that will be updated as required. 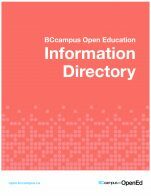 Adoption Guide by Lauri Aesoph, BCcampus is licensed under a Creative Commons Attribution 4.0 International License, except where otherwise noted.